Own a lot of land for very little money. This unique property has over 3.7 hectares on Isla Popa including waterfront and elevation. 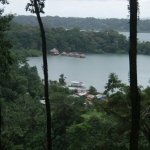 Bocas Town is a 30-minute boat ride away winding through beautiful coral reefs. This awesome property is located just 20 minutes from the famous Zapatilla Cays which are renowned for their glorious white sand beaches and are located within a natural reserve. It is also only 10 minutes to the popular Crawl Cay restaurants and a small store and a gas station. Also Loma Partida or Split Hill which is 10 minutes away also has a small store and gas station. The property can be reached by navigating through a 200 meter internal waterway with a protective mangrove leaf cover to a 70 meter constructed dock with landing, which spans through the mangroves to high ground. The lower part of the property has been cultivated with nampi plants (a popular root vegetable). The property has a wide range of other fruit trees and flowering plants including plantain, banana, coconut, and heliconias. 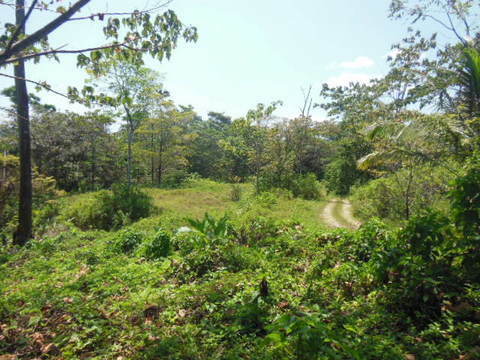 This is native jungle with established trees and plant life along with a collection of indigenous animals and critters including the Strawberry Poison Dart frogs (which are native to Isla Popa), tropical birds, and butterflies too. The elevated section of the property affords excellent views over the island. This would be a great build site for your island nature home or a jungle lodge. The amazing entrance to the property will remind you of Tarzan movies. Jungle lodges are popular here in the archipelago and this is a perfect place to establish one. The owner has clean ROP Rights of Possession ownership paperwork in a Panamanian Corporation for an easy transfer. This is an unbelievable property for a very low investment. Hurry, it will not last long at this price.